JDBC API is a Java API which can be accessed with various types of tabular data, like data stored in a Relational Database. 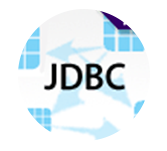 JDBC runs with Java on different platforms like Windows, Mac OS, and the various versions of UNIX. This tutorial is targeted for Java programmers who wish to seek about JDBC framework in detail and its architecture. To learn this tutorial one must be familiar with Java programming language. Having prior exposure to SQL and Database concepts will be an added advantage as you are working on RDBMS.